Express Global Logistics (EXG) are members in India and a project specialist company, established in 1946 with headquarters in Mumbai. 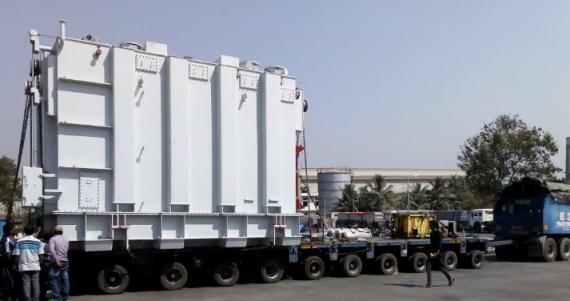 They are an asset-based company with a pan-India presence, backed by their own fleet of Goldhofer hydraulic axles, cranes up to 450tns and warehouses. 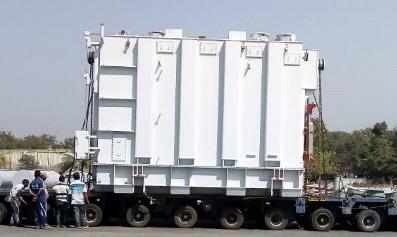 EXG were recently awarded the contract for the national transport in India of 3 transformers, each with dimensions of 7.8 x 4.8 x 5.2m and with a total weight of 669frt, from Rudraram in Hyderabad to Jharsuguda in Odisha. The height of the units posed a challenging during transportation and many overhead wires had to be negotiated including 132kv and LT wires. State Highways also had to be traversed and EXG had to negotiate with local authorities for the lifting of wires and shutting down power as well as lifting many sign boards on route to allow passage. Throughout the transportation, EXG ensured all safety precautions were fully observed such as tested hand gloves, fibre sticks safety shoes and rubber mats to avoid shocks. The transportation was seamlessly handled by the EXG team and the cargo was safely and successfully delivered in Jharsuguda in good time.